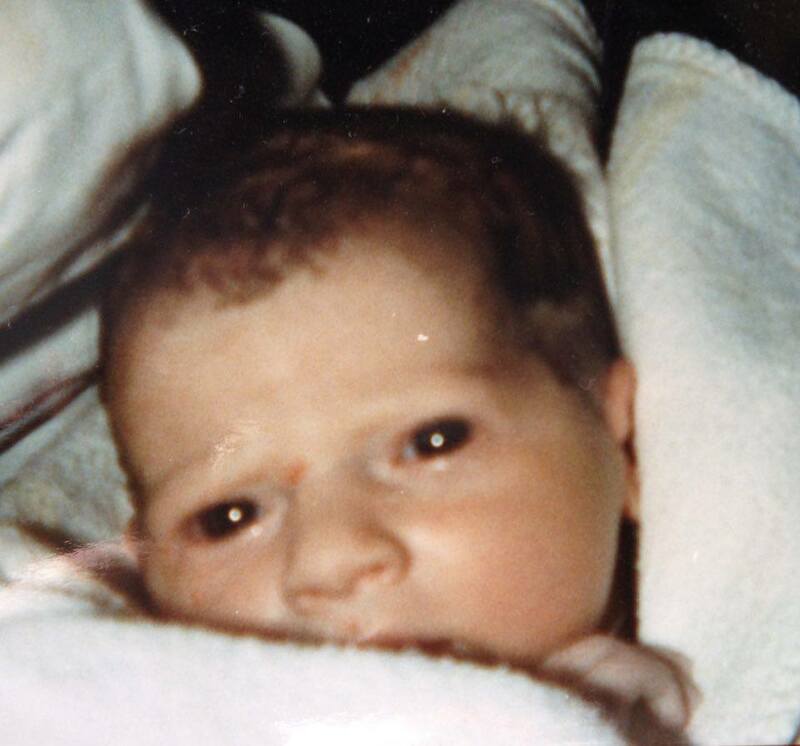 13/04/2017: 20 years ago on this date I became a bereaved parent. 20 Years on, and I’m tired. I didn’t choose this title and I resent having to carry it around with me for all these years . It’s like a heavy weight that hangs from my heart that hurts. I resent that however much I try to make it go away, it doesn’t and I know it will remain with me forever. Losing a child is heartbreaking, but living the rest of your life without your child is even harder. Yes, it happened so long ago. Yet it feels like yesterday as I recall her horrible last days alive. Yes, I’ve had more children. But none will ever take the place of my daughter. Time didn’t heal; as each year goes by it brings the realisation of exactly what we, and Amie, missed out on. And of course life does go on… life stops for no one, not even grieving parents. As people go about their normal lives, we have to as well, and before you know it 20 years has floated by and people mention our children even less. They become a fading memory to many. I resent the fact that lives, especially babies, are still being lost to preventable disease. We have access to advanced medicine and highly researched, safe vaccines, yet still people choose not to vaccinate. People still choose to put members of their communities at risk, as well as their own children. Vaccines have been proven to be safe, vaccines do not cause autism. Ditch the pseudoscience and immunise your children and yourselves. Make sure you are up to date as an adult and make sure you ask for a pregnancy booster shot if you are pregnant and it hasn’t already been offered. My daughter suffered a horrid death from pertussis (whooping cough), because she caught it when she was too young to be immunised. She had no antibodies to fight against the disease (pregnancy booster shots weren’t available then). They are available now and if you have any doubt about what can happen to a baby too young to be immunised then I urge you to read, and share, Amie’s story for awareness. I thank all those amazing people who continue to fight against preventable disease and who have offered support to me, and I support those who have also lost out to preventable disease. Amie was my second child. I was very pleased that labour went well and gave me the opportunity to have a successful VBAC (vaginal birth after caesarian). 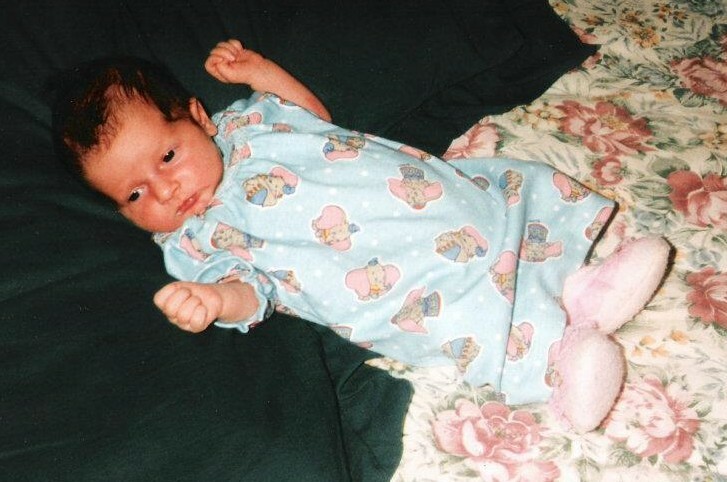 Amie was born on 26th March 1997 weighing 3045 grams. There were no issues, she was healthy, and fed well over the next 2 weeks without hassle. On day 16, Thursday, Amie became fussy with feeding , she barely drank any milk and cried on and off and was unsettled for most of the day. The next morning she still wouldn’t feed , had a slight runny nose and slept most of the day. By the afternoon I was worried and took her to our local GP. I was worried Amie had picked up a bug off me, as I had been sick over the previous week myself with cold like symptoms, a lost voice (which got put down to having a lot of gas during labor), and a cough, for which I’d seen a GP, been diagnosed with bronchitis, and prescribed antibiotics, but reassured that my baby would be safe as this is not something that could be passed on. Our GP said he was certain Amie had a chest infection of some kind , he said it was highly unlikely that she would have what I had, but he recommended we take her to our local hospital for an Xray and check. Amie was admitted to hospital Friday evening , they identified that she had a type of pneumonia, but weren’t sure of the exact cause. Amie spent all of Friday night screaming and clenching her fists as though she was in pain, and she had several bouts of coughing some. During some of them she would lose her breath, then scream again when she recovered. Around 7am the next morning (Saturday) the nurses were doing a change of shift and a specialist from The Prince of Wales Childrens Hospital at Randwick was visiting. She had taken a look at Amie and instantly knew she was very sick. I was pulled aside and told that some other doctors were checking her over, and before long she came back and explained that they wanted to put Amie on a ventilator to help her rest her heart as it had been working in overdrive, and to also give her little body a rest so she could fight this illness a bit better. No one gave any clue as to what they thought was wrong with her. I had no idea when I left the room for the medical staff to work with Amie that it would be the last time I would see her awake or even hold her alive. As the doctors were intubating her , she had a small seizure soon followed by a much longer one. We also told she would be transferred to The Childrens Hospital at Randwick as there was a paediatric specialist available and Amie would have access to specialist care and treatment. That part is very much a blur to me still to this day, I can’t remember if I travelled with her, or if we drove in the car behind. I do remember what felt like most of the day, which seemed to be spent sitting in the waiting room in ICU whilst they made Amie stable and hooked her up to various machines. Finally her father and I were allowed to see her. She was in a room big enough to fit 2 beds – one side was full of various machines and cords that were connected to her, the other side was high up bed, almost like a work bench, with her on it. Doctors told us she was a very sick little girl, but one that was fighting hard with her little heart still trying to race fast even though she was ventilated. They thought she might have meningitis, and asked permission to do a lumbar puncture. We spent Saturday evening and night sitting with her holding her tiny hand and when we were asked to leave at 2.30am to go home to change and shower and to come back in the morning, we were assured that she was in good hands. I wish I had stayed. We were awoken at 5am by the phone and told to make our way into the hospital. We had a flat tyre. Of all the times to get a flat tyre. When we eventually got to the hospital we were taken to a room and told that it was believed our daughter wouldn’t see the day out. Her body wasn’t responding to any treatment; her organs were failing her and her tiny body was filling with toxins. She had had very low oxygen levels for most of the prior hours, and her heart had also stopped several times. We rang immediate family and asked them to come in to say their goodbyes. As we watched, machines failed to help her, and they were slowly switched off and unhooked one by one. I remember seeing the numbers on the heart machine slowly getting lower. Our baby girl was dying. The last machine was unhooked and she was placed in my arms where she passed away shortly before 11am on Sunday 13th April 1997. I’ll never forget the nurses – teary and apologising for Amie dying saying that they didn’t think she would actually die. We still didn’t know what had caused her death. We gave permission for an autopsy to be performed and I demanded that they do some tests on me as well; here I was sick with “bronchitis ” and here was my sick child, now deceased. Swabs were taken from me, and we spent time with Amie. The nurse cleaned Amie up , dressed her, took her foot and hand prints and a snippet of hair and placed her in our arms. Family had cuddles and said goodbye. Walking out of the hospital and leaving her there was one of the the hardest things I’ve ever had to do. When we got home her room and cot seemed so empty. We made funeral arrangements in the coming days. I had to not only let some people know that I’d had my baby, but also have to then go on to say that she had died. I would have to explain that for weeks to people – I would bump into them and they would see my flat tummy and excitedly ask whether I’d had a boy or girl. The afternoon of Amie’s funeral the hospital called with the results of Amie’s autopsy. Results revealed that Amie had passed away from pertussis (otherwise known as whooping cough). 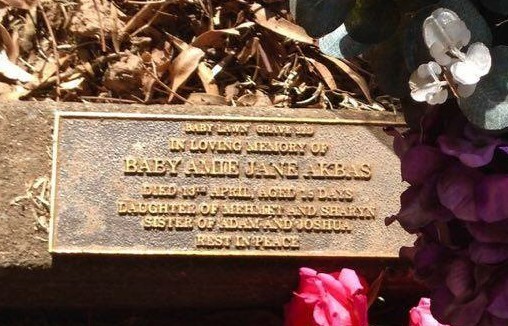 Amie was the 4th child in NSW to die from pertussis that year (1997). I tested positive to pertussis as well. Few people will ever know the devastation and guilt one feels and lives with, knowing that the disease your child died from, was caught from you. I wanted so badly to find the person who gave whooping cough to me because it wasn’t fair and I had no-one to blame, but in reality they probably didn’t know they had it themselves until it was too late. I can only blame the disease for this, and the fact that booster shots simply weren’t available at that time. I was extremely sick for 3 months. I have never felt so sick in my life. I coughed, I cracked ribs, I gasped for breath, I soon understood why my daughter wasn’t able to survive this. It’s horrendous for an adult so I can understand a newborn baby simply being too young to fight this off. Amie’s autopsy results revealed that her lungs weighed 3 times more than their normal weight in mucous & pus. 4 days prior to her death she was at home; a healthy, happy baby. I was very angry that I caught whooping cough considering I was vaccinated against as a child. At a meeting we had with Amie’s doctor to discuss the autopsy results I asked how I could have caught pertussis after being vaccinated against it as a child, and was informed that booster shots as an adult were required as immunity wears off after approx 10 years, but such booster shots weren’t currently funded or available at that time. These days, and sadly after the tragic deaths of more babies from pertussis, booster shots are provided free to mothers during each of their pregnancies (at 28-32 weeks). These pass on protective antibodies to an unborn child, and are 90% effective at preventing them from catching Pertussis. 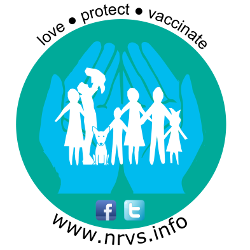 Other family members are also recommended to also have their booster shots at least every 5 -10 years, and a newly added booster shot has now also been added to the National immunisation Program for children aged 18 months. Although it’s too late for my baby and many others, these booster shots can make the difference between a baby surviving or not surviving pertussis. Please vaccinate; to not only protect your own family, but to protect your community. Watching your child die from a preventable disease is not something that I would wish on anyone. Remembering my precious Amie and all of the other babies who have also lost their lives to preventable diseases.